The Empire Strikes back is probably the best Star Wars movie of all time. When people see it, they always have a new favorite character in Yoda. 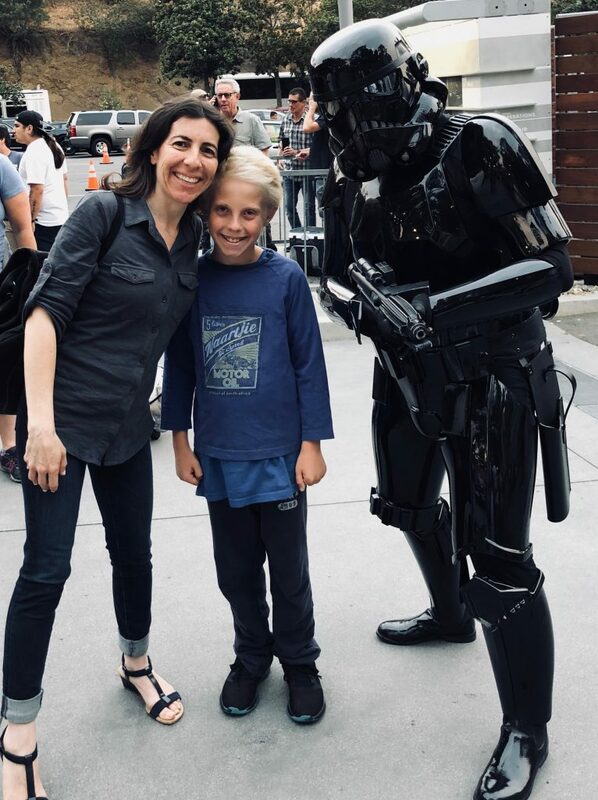 He’s my personal favorite Star Wars character and I think he’s my mom’s too. 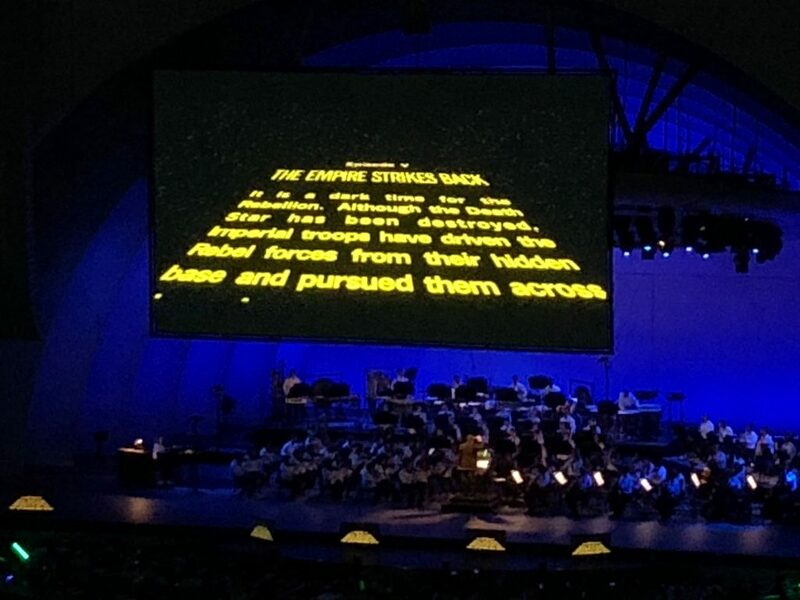 The reason I am talking about that is because we recently went to see the Empire Strikes back at the Hollywood Bowl with a live orchestra. 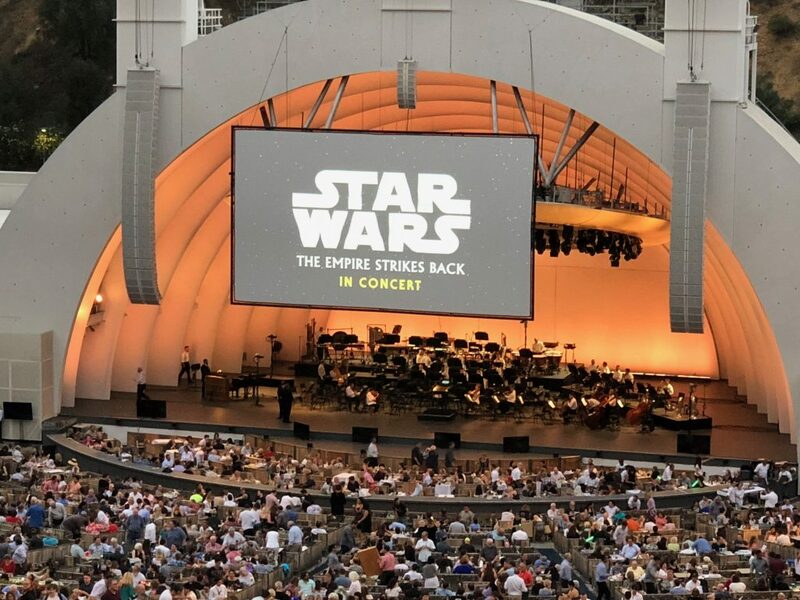 What they do is they put the big Hollywood Bowl screen up and mute the music and have the orchestra fill in for the music. However, you can still hear all the characters talking in the movie though. 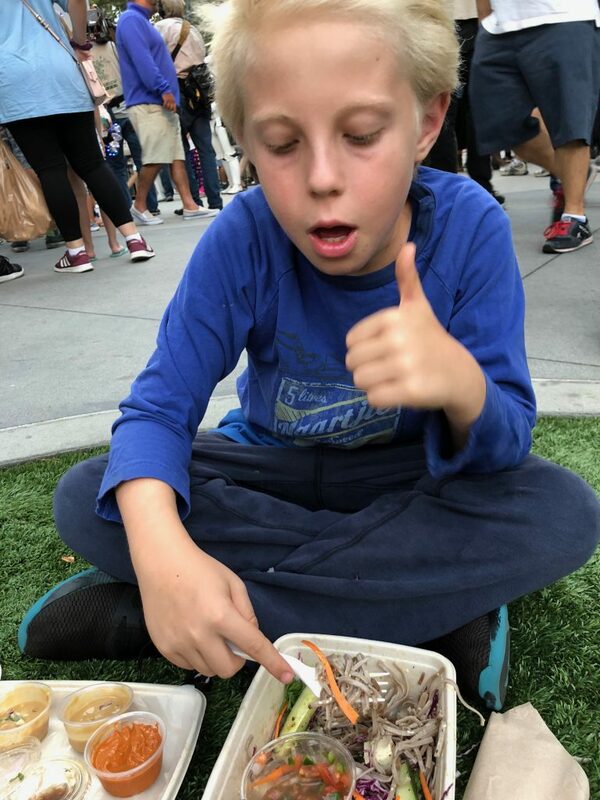 The Hollywood Bowl has food stands but not enough dinner food that me and my mom could eat, so we relied on a place called Citizen Sprout. Citizen Sprout is a restaurant right near El Cholo and Golden Mean in Santa Monica which I’ve reviewed before for you, and me and my mom first saw it when we were driving home one day. It looked new and cool on the outside, and after we looked it up at home afterward we found out that it is a pick up place and mainly a school lunch delivery program so me and mom checked out the menu. We decided to pick up three dishes to take to the Hollywood Bowl. 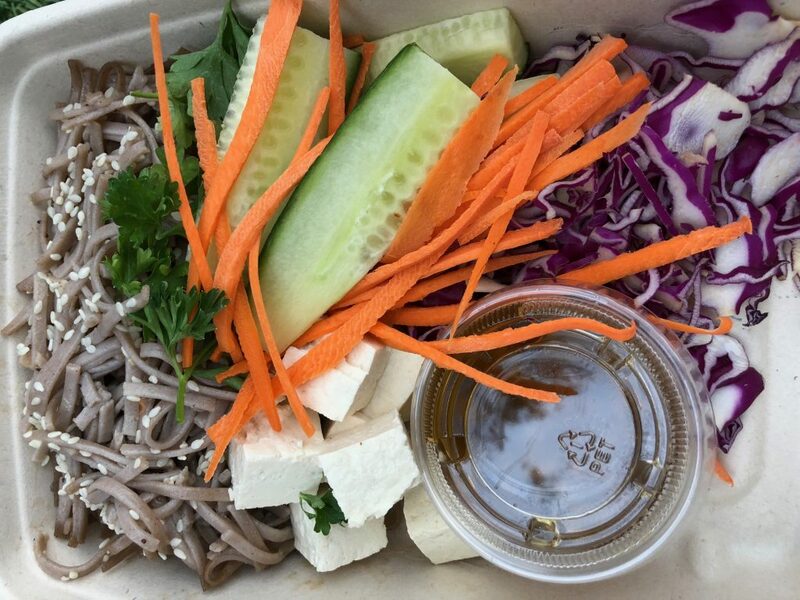 We got spring rolls, a jackfruit Mexican bowl and we also decided to get a soba noodle salad. My mom said I could pick and choose whatever I wanted and I told her thanks and we would see when we got there and how everything tasted. We called an Uber and headed for the Hollywood Bowl. When we got there, me and my mom went through security and took a seat in the grass. First we took out the spring rolls and they looked yummy. 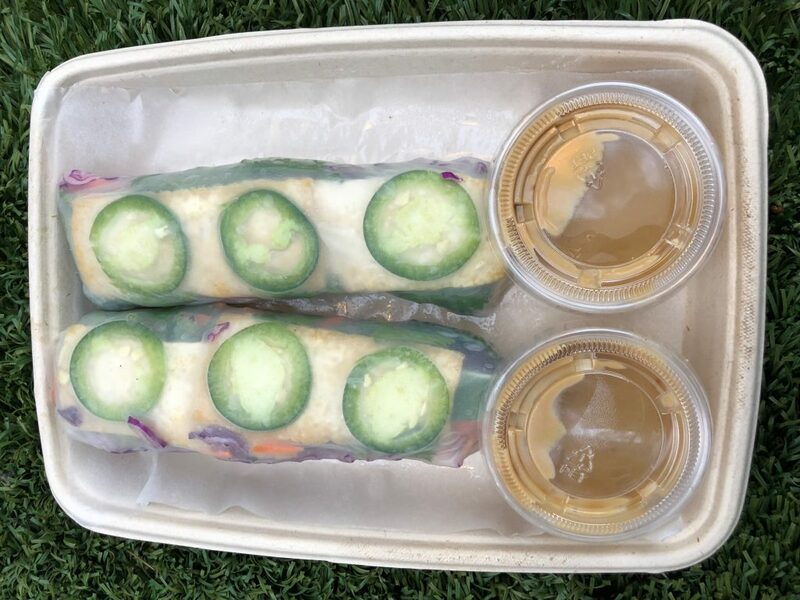 The spring rolls actually were not really that good. I wouldn’t recommend them. 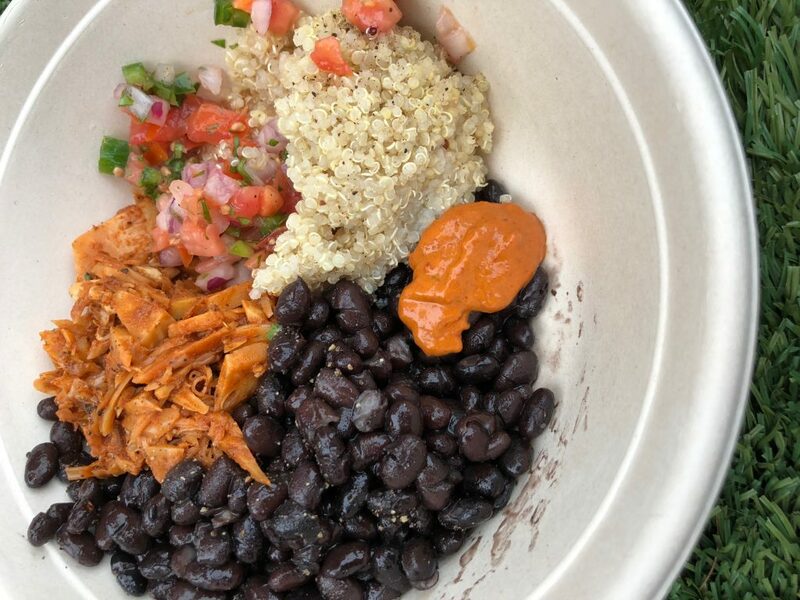 Then we took out the jackfruit Mexican bowl. It looked great. It wasn’t that great at all. The jackfruit was way too sweet and it didn’t make a good dish. Then we took out the soba noodles. They looked really good too and they ended up with an “exceeds expectations” rating from me. Mmmmm! They were delicious. The savory and softness of the noodles complimented well with the crunchiness of the cabbage and carrots of the salad. My mom, being the good mom that she is, let me have the salad with the soba noodles. I told her I loved her and when I was an adult/parent, I wouldn’t be as giving with my food. Thanks mom! So if you go to citizen sprout, get the soba noodle salad. It was really, really, really amazing. Yummm! Looks like the performance far outweighed the dinner, but, hey, food’s not everything — just far ahead of whatever is in 2nd place.